With all the enchantment of spring and freedom, A Windy Spring wall decal is a beautiful flight of birds and leaves. 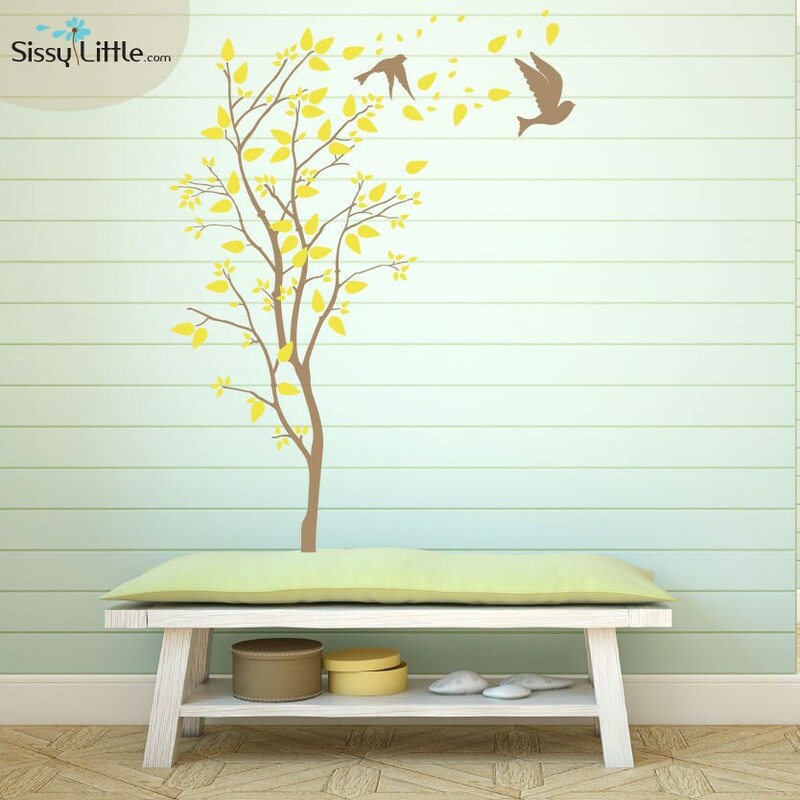 This eye-catching decor design is a great setting for a young girl or, with the right color selection, a casual interior for any room. This decal is 60in. x 44in. See 3rd photo. Choose only 1 color from the choices shown.